In an effort to respond to the need for modern English language teaching and learning in the mining region of Spain, The American Center opened its doors in downtown Mieres as an independent school in 1985. In 2011 a second school was opened in Oviedo. Our staff is entirely made up of college-educated, native speakers of English, to ensure up-to-date communicative standards. Now a well-established local learning institution, we gain new clients just by word of mouth. Many of the people who learned to speak English at our school, even those who have moved away, stay in touch with us The positive contribution our school has made over the years, not only to individuals but to society as a whole, means a lot to us. 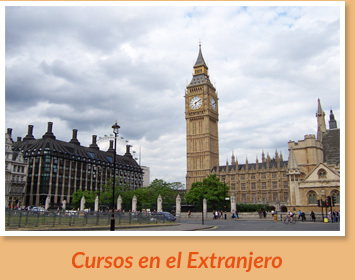 We also provide a wide selection of language courses abroad, including summer programs and year-round academic courses. Winner of the UNESCO Aula de Paz Camín de Mieres Associated School "Valuable Foreign Language Teaching Contribution" Award, organized by the Consejería de Cultura del Principado de Asturias, the Mieres City Hall, and the Dirección Provincial de Educación y Cultura en Asturias, 1997. Desde 1984 The American Center se dedica a la enseñanza de la lengua inglesa en las cuencas mineras de Asturias, comprometidos con la calidad en nuestros cursos. 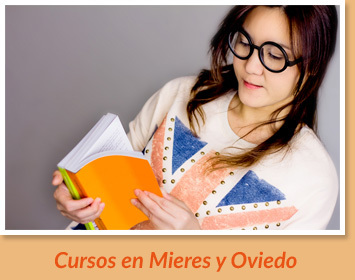 En 2011 abrimos una segunda academia en Oviedo. La conversación y las técnicas para la comunicación oral eficaz son áreas integradas en nuestra enseñanza. Queremos ser tu escuela de inglés. Fundador (1994) de la Asociación de Centros de Enseñanza de de Idiomas del Principado de Asturias, ACEIPA. ACEIPA es un Cambridge Open Centre, el centro oficial de matrícula y preparación para exámenes Cambridge en Asturias, Reg. Nº ES072. 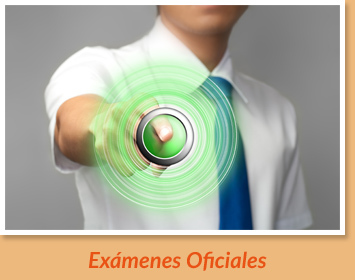 Desde hace muchos años formamos parte del tribunal de examinadores de los exámenes orales para Cambridge Examinations. The American Center es centro oficial de matrícula y de preparación para Cambridge Examinations en Asturias, Registro Nº ES 072. La Federación de Centros de Enseñanza de Idiomas de España, FECEI. Asociación de Centros de Estudio de Idiomas de Asturias. Clúster de Turismo Rural de Asturias. La Asociación de Centros Autónomos de la Enseñanza Privada, ACADE. "I came to Asturias with the idea of staying for nine months as a way to get a bit of teaching experience, and to perfect the Spanish I studied at the University of Massachussetts, Boston. It´s been nearly three years now, and I still haven´t left. I fell in love with Asturias, concretely with the wonderful people I have met and who now form integral parts of my life. I love the slow-paced life that I live here in Asturias, working teaching English, and yet still having a lot of time to myself, exploring Asturias´ natural paradise and enjoying a nightly wine with people who have come to feel like family." “There are many tourist attractions, such as the beach, the mountains, the ski-station or natural reserves. You can hang out and drink apple cider, sidra, the famous traditional drink of the region. Asturias has a rich bar culture and a vivid nightlife. People are very friendly and it is easy to make friends. Never expect anyone to be on time!